“China’s century of Humiliation” explores the fundamental differences between the Western and Chinese culture from early beginnings. The film debates how Christianity and Confucianism were translated in political thought and social systems. Next, the film investigates why the industrial revolution did not take place in China, despite its many early inventions, but in Europe. China’s century of Humiliation sheds light on the first economic and military encounters between the British and Chinese Empires through the eyes of Asian and Western historians. 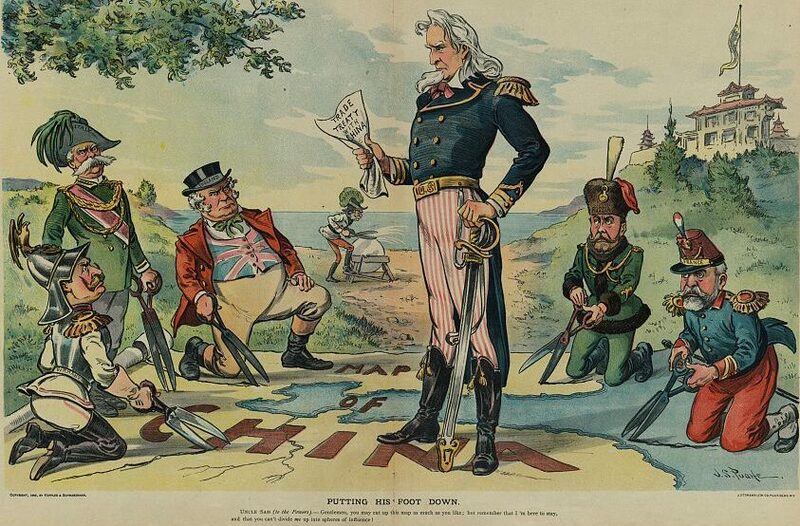 Trade deficits, war threats and reprisals have marked the 19th century as one of the bloodiest and most shameful in Chinese history. Today, these past lessons can serve as an powerful insight for what the future might bring for China and the rest of the world. China’s Century of Humiliation is unique in many ways. As the only documentary to attempt a comparative study of the Chinese and Western history the film also features a special visual style.For illustration the film uses shots from the People’s Republic of China, Taiwan, Europe and the US. but also a large number of computer generated animations that bring history to life. Using authentic historical documents the director has created motion and dynamism that engages the audience. The film also benefits from the artistically generated landscapes of ancient China and an imaginative combination of maps and architecture that serve at times as metaphors of the events depicted in the film.